Polarion enables product development organizations to have a single, cohesive product ecosystem, with multi-directional linking of ALM and PLM data and processes. Should companies be integrating the management of their product and software development? Is there a business benefit in doing so? Today, over 10 billion new microprocessors are produced each year, with over 95% of these devices deployed as embedded components spanning almost every industry. Going forward, the growth of embedded systems is likely to accelerate significantly as manufacturers further embrace the Internet of Things (IoT). 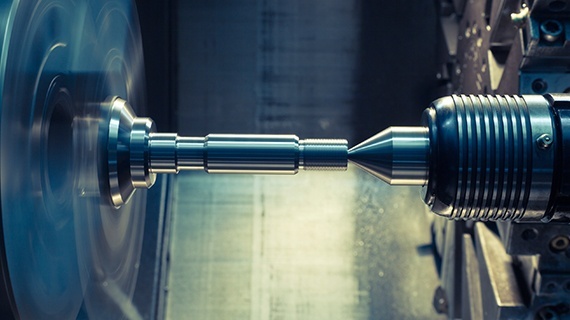 Unfortunately, the tools developed to design and test multi-system goods tend to be specialized, with separate Product Lifecycle Management (PLM) tools for mechanical and electrical components and Application Lifecycle Management (ALM) tools for software. Disconnects between ALM and PLM automation can be costly in terms of rework and delays, as well as product safety. They can also delay or even prevent opportunities for innovations that cross discrete systems. At Polarion Software, we've been deeply interested in the convergence of ALM and PLM for quite some time. We've actively researched and published our research results since 2011. Several examples of our free whitepapers and webinars are linked on this page. One major outcome of our research has been the identification of 5 incremental levels of ALM-PLM integration. This taxonomy is unparalleled in today's market. Our customers consider it a key perspective in identifying their needs and addressing them with proper solutions and investments. Polarion leverages the very latest developments in integration technology, to ensure that product development organizations have a single, cohesive product ecosystem, with multi-directional linking of ALM and PLM data and processes. 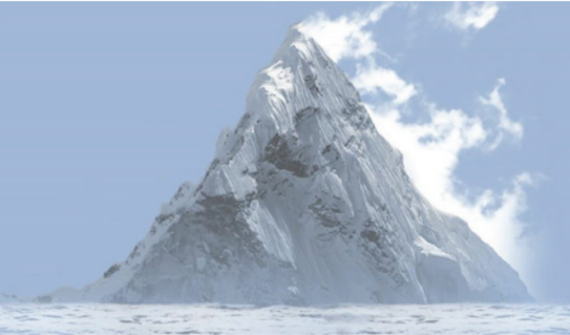 A mountain trek is a good analogy for ALM-PLM integration. At the summit you have your product and software development teams working hand-inhand, innovating, communicating, all on the same wavelength, with goals and objectives clearly delineated and transparent to all involved. The view from the summit is clear: your company is delivering what your customers want with efficiency and quality levels that leave your competitors behind. As with all mountains worth climbing, the road to the summit isn’t easy, but the payoff will vastly outshine the effort. In Polarion ALM-PLM integration, the capability of creating a physical or logical relationship between ALM and PLM data assets is called a Link. Trace denotes the ability to automatically navigate this relationship. At this level ALM-PLM manages the impact of design changes down the development and production chain, and vice-versa. It also enables a failure of the related hardware or software components to be traced back to the elements that could have caused such failure. At this level we achieve the integration of processes. Examples of this integration will be task assignment, progress control, and project management. 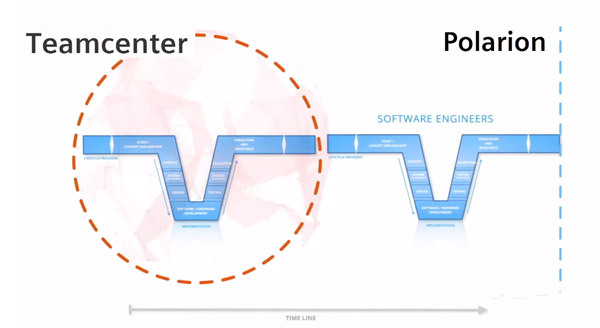 At this level software concepts like releases, branches, baselines, and parameters are aligned to their product-specific counterparts to establish unique, combined configurations. At this level, we also support unification of the User Experience (UX), allowing users to work in their preferred and familiar development tools. At this last level, Engineers from multiple disciplines are able to collaborate and merge their areas of expertise to develop an optimal, multi-system solution. Process improvements are driven by metrics dashboards that provide a unified view of project status and enable users to quickly identify bottlenecks and issues, and implement effective mid-course corrections. 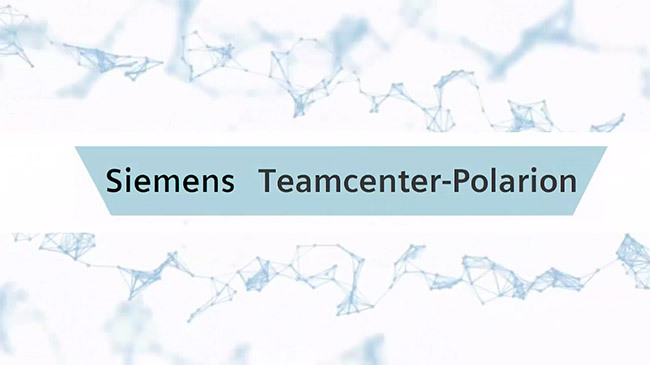 For more information about the Polarion ALM-PLM integration with Teamcenter, visit our Extensions portal via this link: Polarion Connector for Teamcenter. Bridge the worlds of ALM and PLM with end-to-end traceability for complex, multi-system product development. Customer's Preferred Choice! Easiest way to ask & track progress over support cases. Our expert trainers can help you improve your development process with best practices, in-depth know-how, and tips-and-tricks to get the most out of your investment. Join us for this complimentary 60-minute interactive webinar highlighting the current ALM and PLM trends and their increasing impact on embedded software. The convergence of PLM and ALM - something we call “product and application lifecycle management” PALM represents the future generation of management control for Systems Engineering. Learn more about how your organization can achieve a unified solution to manage the development of products and software. Whitepaper: ALM Meets PLM the PALM Way The opportunity to bridge the worlds of ALM and PLM. ALM-PLM integration Why it matters for multi-domain engineering. Introducing Application Lifecycle Management PLM for managing software is not PLM. It’s ALM, application lifecycle management.